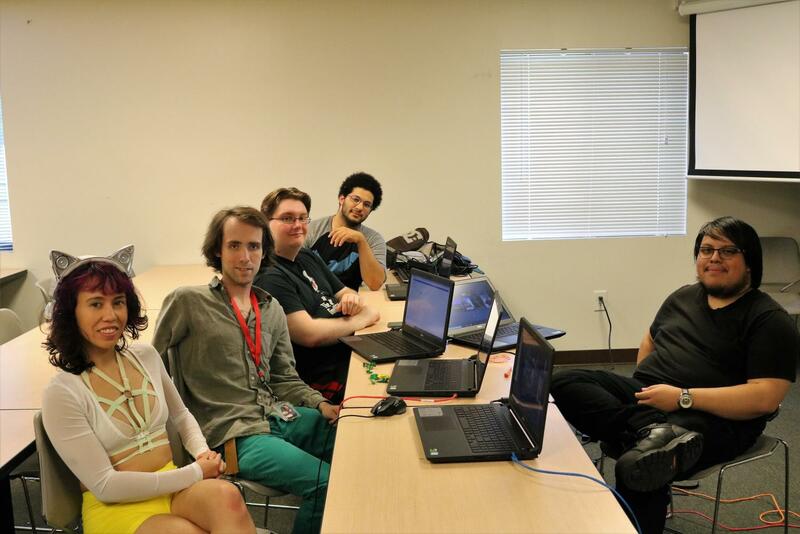 Esports players, like third-year systems analyst student Thomas Harris (third from left) and second-year transfer studies student Kyle Taylor (far right) can join esports through AACC Athletics next fall. AACC Athletics plans to make esports part of its program next fall. Esports—electronic sports—involve established teams that play video games competitively for fun, ranking or monetary rewards. Athletics Director Duane Herr said he’s hoping to introduce esports officially to the college along with a men’s cross-country team in fall 2019. Not all students who want to play esports will be eligible for the official athletic team, but the campus Esports Club—which is separate from the Athletics Department—welcomes part-time, full-time, past and present students, according to Conway Johnson, an ESports Club team coach and a former student. Johnson said he expects other community colleges will add esports to their athletics departments. AACC’s ESports Club has started Heroes of the Storm, Overwatch and League of Legends teams to prepare gamers for competition with Northern Virginia Community College when those teams become official. Because the Athletics Department teams will not become official until next fall, the Esports Club plans to reach out to Northern Virginia Community College in the interim for friendly scrimmages, Johnson said.